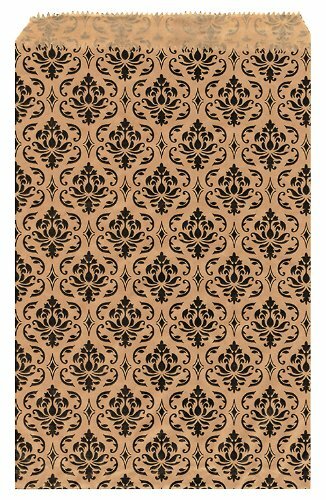 200 pcs brown damask design paper gift bags. This elegant bag is great for all purposes, use it as a gift bag, merchandise bag, or party favors. Each measures approximately 6" x 9". CADDY BAY COLLECTION MICROFIBER CLEANING CLOTH INCLUDED (1 per order). If you have any questions about this product by Caddy Bay Collection, contact us by completing and submitting the form below. If you are looking for a specif part number, please include it with your message.